Among the Camden Cats players who will run on to the field tomorrow for their first home game of the 2019 AFL Sydney premier division premiership will be three co captains and the coach. Jed Ellis-Cluff is the coach and he is a believer in sharing leadership duties, even if it means that out on the field he’s just another player. 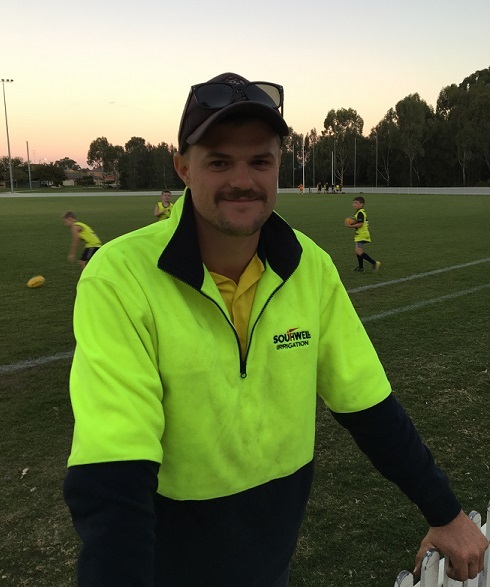 “I won’t have a problem with the captains telling me off if I’m out of line,’’ the young coach tells the South West Voice in Macarthur in an interview at the club’s home ground, Fairfax Reserve, Harrington Park. High expectations: Camden Cats coach Jed Ellis-Cluff during training last night at the club’s home, Fairfax Reserve, Harrington Park. “Player driven groups is usually the most successful approach in AFL,’’ says Ellis-Cluff. The Cats travelled to Manly for the opening round of the competition last Saturday and recorded an impressive 43-point win against the Wolves. Certainly the coach was impressed with that first up performance. “The intensity, the effort and the way we ran out the game were sensational,’’ he says. The Camden Cats will host Sydney University at Fairfax Reserve tomorrow from 2.30pm and Ellis-Cluff will be looking for signs of that improvement, given that he has high expectations for the season. “Finals is definitely the ideal goal, and I think it’s a genuine possibility, too,’’ he says. The young coach played his first season with the Cats in 2018, having moved from Coffs Harbour to Camden with his partner, who is at Sydney University in Cobbitty. As well as a very strong midfield, he thinks the youth of his playing group may be the main strengths of the Cats in 2019. “All over the park running will be our strength this season – we’ve got a lot of young blokes who can run up and down all day,’’ he says. 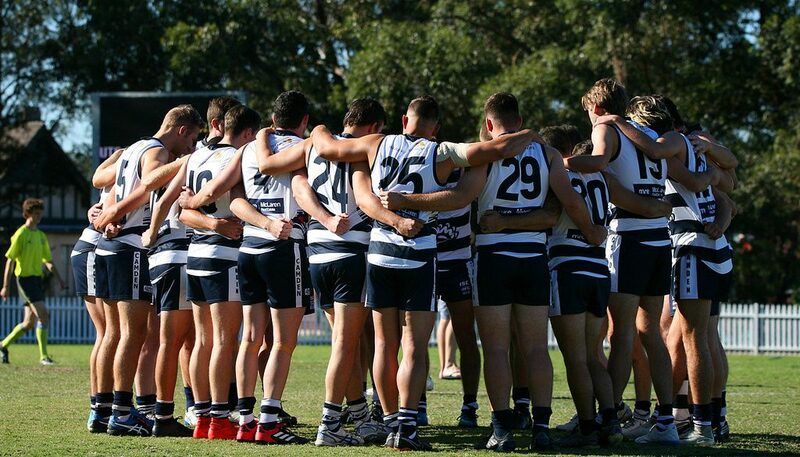 The Camden Cats during their first round win over Manly last Saturday.